Thanks to an intense fear of getting cavities, I became a manic toothbrusher as soon as I could hold a toothbrush. Throughout my youth my teeth had nary a filling. But one rather humorous escapade changed all that. A couple decades ago when we were broke farmers, my husband and I were demolishing an ugly shed we'd built. 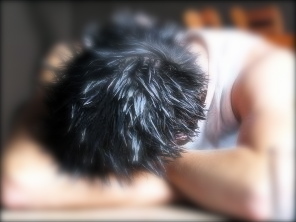 In this process, my husband didn’t see me and as he swung a large 2 x 4, it connected squarely to the back of my head.It didn’t rattle my brain too much but the impact cracked my four back teeth. Thankfully the teeth didn't cause any immediate problems but my dentist prophesized that eventually they would. He was right. 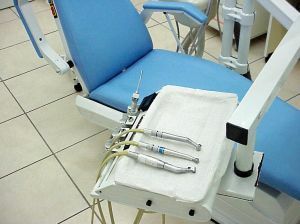 Recently, as I sat in the dentist chair with my mouth propped open, I began calculating the cost of four cracked teeth. Not much I could do about it now, so I thought about something else seemingly as hopeless: the US job market. We’ve been a baseball family since our son was in T-ball. 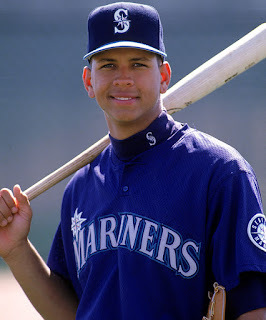 The closest major league team was the Seattle Mariners and our young son loved a rookie named Alex Rodriguez. It wasn’t long before he emulated Alex’s baseball stance and longed to be a shortstop. Young Alex was the consummate baseball idol. Hey Alex, those Seattle years were magical. We willingly drove the five-hour roundtrip to watch you play. The old Kingdome resonated with cheers for your amazing talents in the field and you were clutch at the plate. You inspired a generation of young ball players. What happened Alex? We were in the stands during your return as a Texas Ranger. We watched the monopoly money float down from the upper deck as you came to the plate. The boos and catcalls were resounding. You seemed to have chosen money over character. And the fans knew it. On a whim, which isn’t how I normally operate, my husband suggested a twelve-hour vacation. Time was limited so we knew exactly where to go. Just seventeen nautical miles across from us on the Strait of Juan de Fuca Victoria, British Columbia awaits. Brilliant blue skies, calm waters and very few October tourists made our escape perfect. Within a couple hours we arrived at the historic Butchart Gardens. Back in the early 1900’s Jennie Butchart used a depleted lime deposit left over from the family’s lucrative cement company and created a lush flowering garden. Over the years she kept adding more blossoming acreage. The garden’s cobbled pathways, with assorted colors and fragrances invite a slow measured pace. A sanctuary of flowers and shrubs, waterfalls and fountains invite reflection—which we sorely needed. Over the two decades Sheila had taught school, she never tired of the classroom. Each night she faced stacks of student papers but she didn’t mind because she felt every student deserved her best. But one incorrigible teen was determined to make her life miserable. With Craig, each day was a trial. Sheila sensed there was more to him than his failing grades. As the tardy bell rang she could expect Craig and his surly attitude to arrive. Discipline never worked because it was an excuse to leave class. Praising his effort, when he showed any, was met with a mocking smile and a flippant response. Sheila couldn’t seem to reach inside his stubborn resolve to hate school. Facing the prospect of flunking Craig for the second year in a row, she asked him to stay after class. She’d tried to offer assistance throughout the months, but Craig always shrugged it off. Now she watched him take the news of failure with total nonchalance.